Those who teach preschool or nursery often chat about how we luckily forget just how hard the first month if not the first term is for everyone involved - the staff are exhausted as they introduce a whole new set of children to the routine and rules of the setting and the children have to learn how to get along with a room full of their peers. But the reward for all this hard work comes when you witness that 'aha moment' when you see a child grab a timer and empty it themselves rather than an adult modelling how to ensure a fair turn, or you watch a couple of children negotiate turns on a piece of equipment with no pushing, shoving or tears! 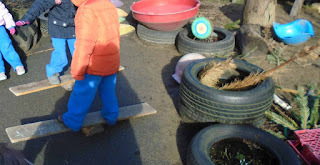 Over the past few weeks we have added the large hollow blocks and half rounds to the playground, the latter are just little logs cut in half from Cosy that allow the children to create a balance effect with a plank & a half round. They started by walking up the plank and feeling it tip and then lurch to the other end. Some use it to replicate 'surfing' by just balancing on the plank while it's off the ground. Then last week one child discovered that by putting a bottle baby on one end & then jumping on the other they could create a large catapult! Of course the poor bottle baby burst upon impact with the hard standing of the playground & so I suggested they look for something lighter that wouldn't cause any injury if it landed on anyone's head either! A few years ago one child found a purple, rubber thing in Bear Woods- it soon become known as 'the purple minion egg', in fact it was the inside of a bouncing balance shown in the photo above & came from the main playground. 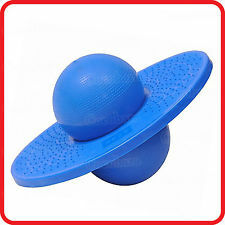 What impressed me most when I watched a small video taken by another staff member of the game 2 children invented with the minion egg, was the turn taking that was taking place. There was no shouting or fighting but lots of direction from one of the children "No, it's my turn now, you're next" or "Now it's your turn, that's it, well done" etc. lots of great dialogue between the 2 as they had fun sending the minion egg up into the sky - there were lots of giggles too as it bounced back down again. Turn taking does not come naturally or easily, it does have to taught, it has to modelled again and again and again but most importantly children need to see that it is fair. I think that many underestimate how important that year in preschool is for all the social skills that are learned. If we bow to the downward pressure or testing young children for academic skills we are losing sight of the importance of their personal, social and emotional development. They need time to learn how to compromise, negotiate and argue with their peers in a safe environment with adults who are constantly modelling turn taking and giving them lots of opportunities to hear how to negotiate a turn until suddenly they begin to employ all these skills for themselves. I have often said that the third and final term is the most bittersweet, the children are so much more independent and able to fully enjoy being part of a big class and all the exciting play opportunities it provides without all the angst of the first term and coming to grip with being part of a large group and yet it is also sad because as their teacher, I know they are ready to leave me and move onto their next step on their educational journey and I have to start all over again! The importance of role play. Sometimes when I have a post 'brewing' in my mind, another blogger I might follow manages to write a post on the same topic or I come across an article written in a similar vein. 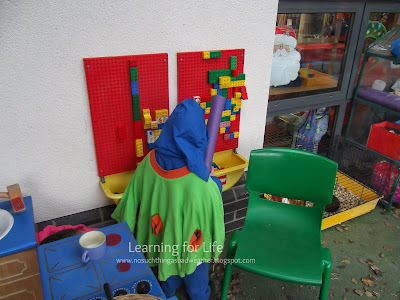 And so it has happened with this post, I have been watching as the role play develops in my class this year and reflecting on how this aspect of the preschool day has far reaching consequences for later development. Then lo and behold, last week I was fortunate to get to hear a brief presentation from Dr Dorothy Singer a big play advocate and professor at Yale, all about her research on imaginative play. Then Takoma Park Cooperative Nursery posted their latest blog post all about dramatic play. (http://takomacooperativeschool.org/the-blog/2016/2/24/what-is-dramatic-play) Sometimes in the busy preschool curriculum role play can be overlooked as a valuable stage of development but after listening to Dorothy Singer, I won't be making that mistake. She referred to the ages between 3 and 5 as "the high season of play" and I think anyone who spends time around children of this age will agree; play comes naturally to most children in this age group, they just can't help themselves and aren't yet self-conscious about acting out a fantasy scenario in front of others. I think it is very sad that our present curriculum in Northern Ireland doesn't allow for much deep, sustained role play beyond the nursery years of 3 & 4. Once children are in primary they have an hour of play and because it is limited and so much has to be achieved in that hour, it can be quite frantic rather than settled and deep. 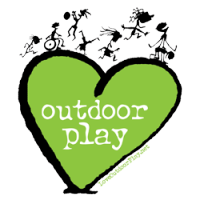 I once heard it said that it takes 45 minutes for a child to become deeply involved in their play and so if play time is over a 60 minute period with lots of moving from activity to activity and perhaps snack time thrown into the mix, it can't really be deep level play, can it? One thing I admire about Takoma Park, is the way they have archived all their play scenarios (play arcs is their term) from the start of the school and do they have a wealth of children's play scenarios to draw upon. I wish I had done that since starting in my job in 2011, it would be great to see the influences that had lead to the play scenarios over the years. This year, Disney's Frozen, is providing a big inspiration for a lot of the role play outside but not inside, perhaps there's a study to be done on this! One child is the one who freezes the others and then various other children will drift in and out of the play to help melt people or to be frozen themselves. Interestingly whilst sometimes the rescuer can be Kristoff, it is just as likely to be a storm trooper or Spider-Man as both Star Wars & super heroes have a big influence this year too. Other times the same child who is 'the ice queen' can be found being Daphne and searching for mysteries ala 'Scooby Doo'! Mud kitchens & outdoor 'cooking' - another aspect of role play. Inside the role play revolves around cats and dogs and at the moment pregnant ladies! Some children will get on a paramedic dress up suit to help deliver the various babies - usually stuffed toys that have been stashed up a dress or jumper. One child in particular who has been deep in the pregnant lady play scenario for weeks, can be heard going around the room saying "Sweetheart, I'm pregnant" to whichever child seems receptive to the situation. Dorothy Singer spoke of how children who engage in role play usually have higher verbal skills and that engaging in such play children learn how to defer gratification. 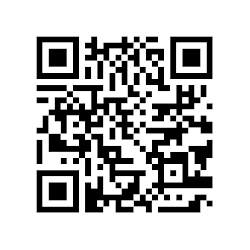 The latter remark was made in relation to those who are primarily engaged in playing computer games etc. This remark about delayed gratification stuck with me, as I could think of a child I had in my class at one time, who played a lot of games on the X-box and iPad etc., it was all he could talk about and it took a long time for him to 'get' play in nursery. His biggest issue was turn taking and not being first, he found waiting very, very hard and even after 6 months could be heard crying out 'But I haven't had a go yet/been picked etc.' even when it was clear that lots of children were still waiting a turn. A good leader at role play is about to give and take, they usually have great ideas for the play scenario but can be flexible and allow for character changes throughout the play. The child, I talked about before had real problems during role play, as he wanted it to always go the route he had chosen, he couldn't be flexible about characters changing of leaving or joining in half way through. Could it be because many of the games he played had a very set way of being played out? I personally, love watching role play scenarios unfold and develop and think it is a crucial part of the curriculum for every child but it needs time to be developed over time and not just a new scenario every few weeks to help tick a box on a planning document.